It was great and I had fun and learned so much about TOEFL and its techniques. Higher Score® is the place to get a higher score in TOEFL. On this page you will find a variety of free downloadable articles that will help you improve your TOEFL score as well as your general English ability. We will add new articles regularly, so please visit this page often. This article will teach you a simple but effective way to improve your writing and increase your TOEFL, IELTS or TOEIC writing score. You can either read part of the article below, or download a free PDF file with the whole article. Paraphrasing is one of the most important skills for writing or speaking in TOEFL, IELTS or even TOEIC Speaking and Writing. This article will teach you three ways to paraphrase more effectively. You can either read part of the article below, or download a free PDF file with the whole article. This article will teach you a simple but effective way to learn vocabulary better. This will help you improve your TOEIC score, and might also help people studying TOEFL or IELTS. You can either read part of the article below, or download a free PDF file with the whole article. This article will teach you about collocations, which are natural word pairs used by native speakers in both spoken and written English. Learning collocations will improve your vocabulary knowledge and also help people write or speak more effectively. You can either read part of the article below, or download a free PDF file with the whole article. This article is copyright Higher Score®, 2007. It may not be reproduced in whole or in part in any form without permission. 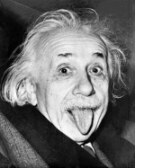 The famous scientist Albert Einstein once said, "Everything should be made as simple as possible, but not simpler." He was talking about scientific theories, but this way of thinking is also perfect for writing essays in English tests such as TOEFL iBT, IELTS or TOEIC. If you follow Einstein's advice and make your sentences and paragraphs as simple as possible (but not simpler), I believe you can write better essays more quickly and easily. To see how this idea can benefit you, let's imagine two essays: essay A and essay B. Both essays are around 300 words long, both essays answer the question equally well, and both essays follow the standard academic essay model. However, there is one important difference between the two essays. The person who wrote essay A tried to write many complicated sentences and use many advanced words. As a result, his essay contained many errors because the grammar and words he tried to use were too difficult. In addition, his essay was hard to read because the errors sometimes confused the reader. Because it contained many errors and because those errors confused the reader, essay A would received a low score in a test. The person who wrote essay B, on the other hand, tried to write simple sentences and use basic vocabulary. As a result, essay B was not only much easier to write than essay A but it also contained fewer errors and was much easier to read and understand. Because it contained few errors and because the reader understood it well, essay B would receive a high score in a test. This simple example shows that making your sentences and vocabulary as simple as possible can lead to great results. But Isn't That Too Simple? To read the rest of this article, please download the free PDF file. "Paraphrase" is a verb which means to re-write a phrase or sentence with the same meaning but using different words. Paraphrasing is a very important skill for most English tests, including TOEFL iBT, IELTS and TOEIC Speaking and Writing. In TOEFL iBT, for instance, paraphrasing is an important skill in the reading section, in the listening section and, above all, in the speaking and writing sections of the test. (1) "Paraphrasing is a very important skill for most English tests." (2) "For many tests of English, being skilful at paraphrasing is extremely important." Notice how the paraphrased version (sentence 2) changes some vocabulary (e.g., "extremely" for "very"), changes the word order (e.g., "tests of English" for "English tests") and changes the grammar (e.g., "being skilful at paraphrasing" for "Paraphrasing is a very important skill") These are the three main ways to paraphrase and by combining all of these methods, you can achieve clear and accurate paraphrased sentences. The next sections of this article will look at these methods in more detail. This article is copyright Higher Score®, 2008. It may not be reproduced in whole or in part in any form without permission. For most English tests, like TOEIC, TOEFL or IELTS, it is helpful to have a good vocabulary. This can make every part of the test easier, which will probably increase your score. However, most students do not know how to study vocabulary well. This short article will suggest one way to do that: make connections between words. By doing this you will not only learn those words more easily, but also remember them for longer. The human brain is very good at making connections between things, and very good at remembering those connections. The human brain is not so good at remembering isolated pieces of information. So, if you try to learn new vocabulary by connecting a new word with other words that you already know, you will probably remember it easily and well. If, on the other hand, you try to learn new words individually, you may find it hard to remember them. In a test situation, this will probably reduce your score. There are many types of connections you can make when you learn new vocabulary. For example, you could try to connect a new word to some personal experience of your own. This is especially effective if the personal experience is something funny or stupid, as your brain is more likely to be interested in and remember such experiences so you are more likely to remember that word. However, this article will focus on a different technique for remembering vocabulary and making connections between words: the "reverse crossword". Having a large vocabulary is a highly effective way to improve your TOEIC, TOEFL and IELTS score, as well as your overall English ability. However, memorizing many new words is not only boring and difficult, but often also time-consuming. An alternative approach is to combine learning some new words with learning to use the vocabulary you already know more easily, effectively and naturally. Learning collocations is a great way to do this. What are collocations? Basically, collocations which are also known as 'word combinations' are a pair or group of words that are often used together by native speakers in the same sentence or phrase. Collocations are often combinations like verb + noun or adjective + noun. Some common examples of collocations are 'catch a cold', 'catch a bus' and 'catch something that somebody said'. You can see that all of these examples use the same verb but a different object (noun).